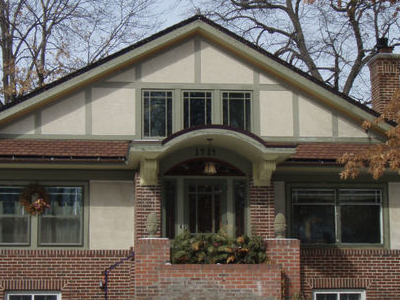 The Floyd B. Olson House is a house in Minneapolis, Minnesota listed on the National Register of Historic Places. The building was the residence of Floyd B. Olson, who was Minnesota Farmer-Labor Party governor from 1931 to 1936,. It is a bungalow with an unusual ornamental feature: it has two classically inspired pillars that support an arched roof over the entrance. Here's the our members favorite photos of "Historic Houses in Minnesota". Upload your photo of Floyd B. Olson House!